On election day while so many people were standing in line waiting to vote or working at the polls or watching the election news on television, I decided to take an Art Stroll. I had already voted and done everything I could do as far as campaign efforts. Watching the news was just making me nervous and stressed. I needed some self‐care and relaxation. As always, one of the best ways for me to stay calm and centered is to surround myself with art. Lucky for me Wivla (Women in the Visual and Literary Arts) had an exhibition called Shape at the Downtown Houston Library. Visual art was combined with the written word. Artists and writers combined forces give their impressions of Space via paintings, poems, collage, short essays, and mixed media. I believe this exhibition will be on display through December. As it turns out I recognized the names of several women writers and artists who were a part of this exhibition. Here is a mixed media piece by Sharon Bippus. 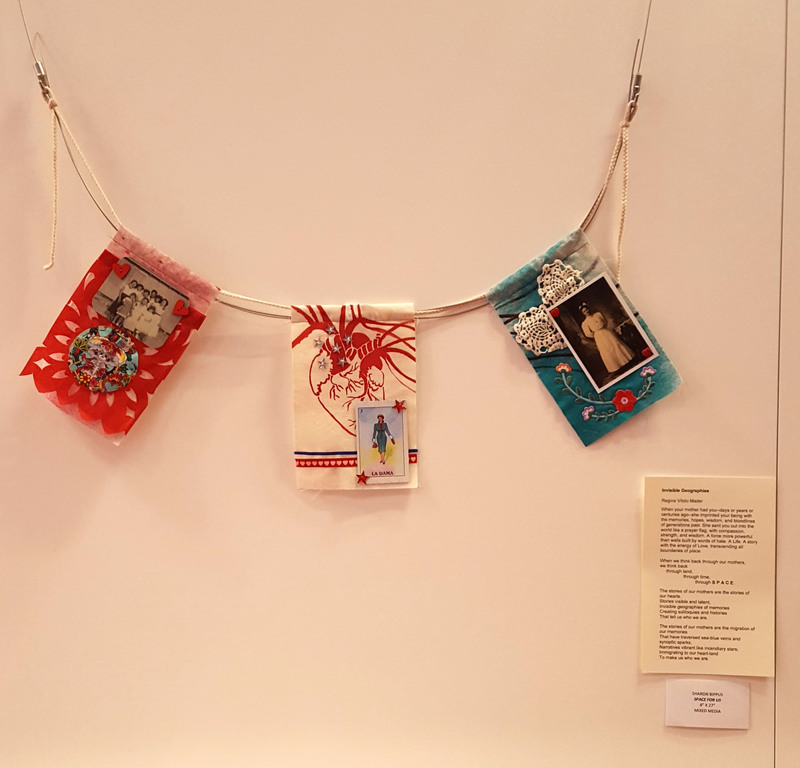 Her piece deals with Space as it pertains to family and generations of relatives. I took the following picture of a group of works in this exhibition. When I looked at it later I noticed that I had included the painting in the upper right corner that was created by artist, Josena Arquieta, who has a studio in the Silos at Sawyer Yards. She is a very talented artist I met in the Women in Art class I have been taking at the Glassell School of Art. I look forward to seeing more of her work during one of the upcoming Second Saturdays at Sawyer Yards. After strolling through this exhibit at the Houston Library, I traveled to the Museum of Fine Arts. I wanted to see the exhibit of the British Royal Family. I especially enjoyed the following pictures. 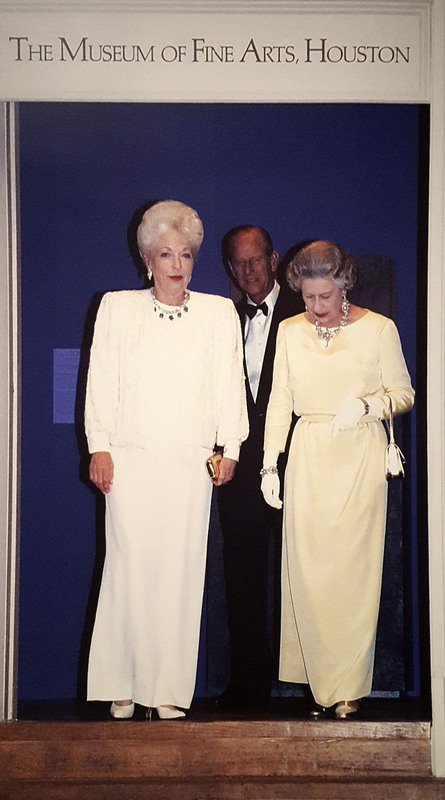 I loved this one of Queen Elizabeth with Ann Richards who was the Governor of Texas in the early 1990s. The Governor was hosting a party for the Queen here in Houston at the Museum of Fine Arts. Ann Richards was always self‐assured and projected a strong independent persona whenever she was in public. She also had a great sense of humor. Of course the Queen remains a very powerful woman herself. Throughout the exhibit it was interesting to see how the various portraits of her have shown her over the years. 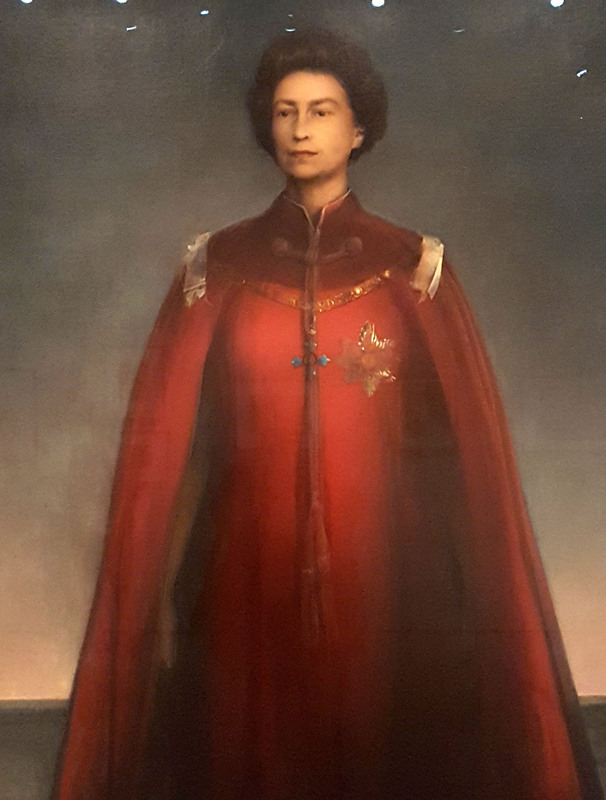 I especially liked this picture of Queen Elizabeth. It’s not the typical portrait where she is sitting down looking elegantly regal. There is a real strength in this picture that is not always shown in her day to day duties. This exhibit will remain on display until late January 2019, I enjoyed it so much that I strolled through it twice and may go back again. By the time I had made my way through all of the works by local women artists and the pictures of strong women rulers and leaders, it was time travel home. I was in a much better frame of mind and ready to take however the election results turned out.